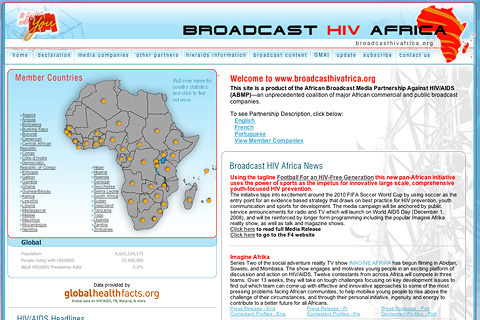 Broadcast HIV Africa is part of the pan-African answer to the call of the Global Media AIDS Initiative (GMAI). Underdog, as a cross-media company itself, is proud to be associated with this organisation in the fight against the spread of infection. Visit www.broadcasthivafrica.org to view the full site.